How to find the perimeter of a rectangle? What's the perimeter of a rectangle formula? 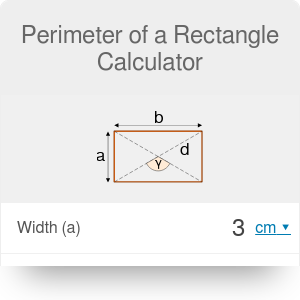 Use our perimeter of a rectangle calculator if you need to quickly estimate what is the perimeter of a specific rectangle. Try to enter some values or read on to learn more about rectangles. In the following text, we explain in detail how to find the perimeter of a rectangle with 10 different perimeter of a rectangle formulas. You can always circumscribe a circle on the rectangle because its center is equidistant from all of its four vertices. Moreover, the center of this circle lies exactly at the intersection of two diagonals. However, you can't inscribe a circle into every rectangle. In fact, you can do it only with a square which is special case of a rectangle. Square is a quadrilateral with four right angles and all four sides of equal lengths. Check out our perimeter, area and diagonal of a square calculators if you need to solve specific problems with squares! A perimeter is a path that surrounds any two-dimensional shape. You can think of it like a fence that is required to surround a yard of a garden. A circle is a special figure, because its perimeter is usually called the circumference. With this perimeter of a rectangle calculator, you can make calculations in almost any units you want. To learn more about length units, check out our length converter! Given angle and circumcircle radius: P = 2 * r * (2*sin(α/2) + 2*cos(α/2)). 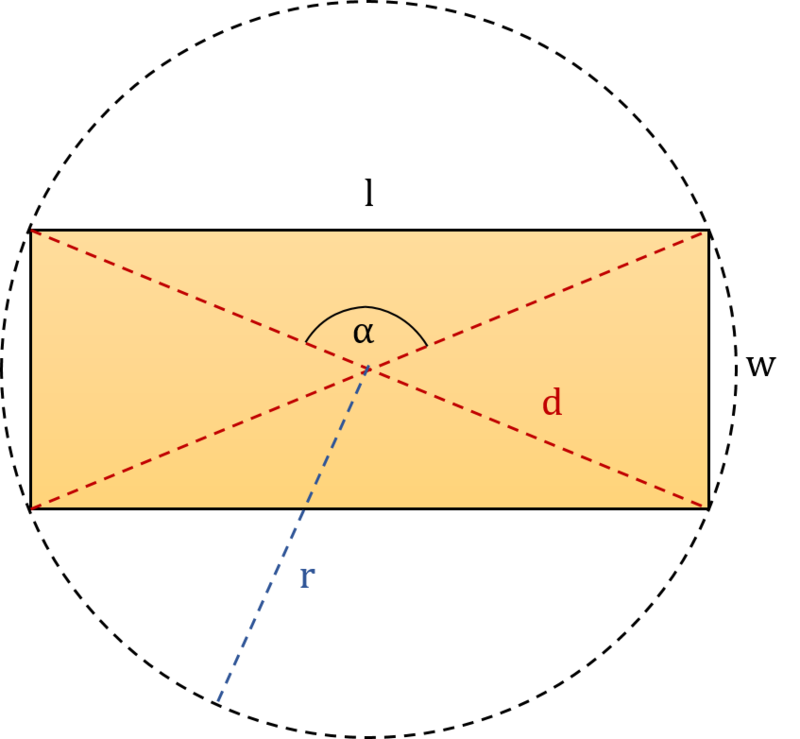 Note: The angle α between diagonals is in the front of the length like in the first figure. 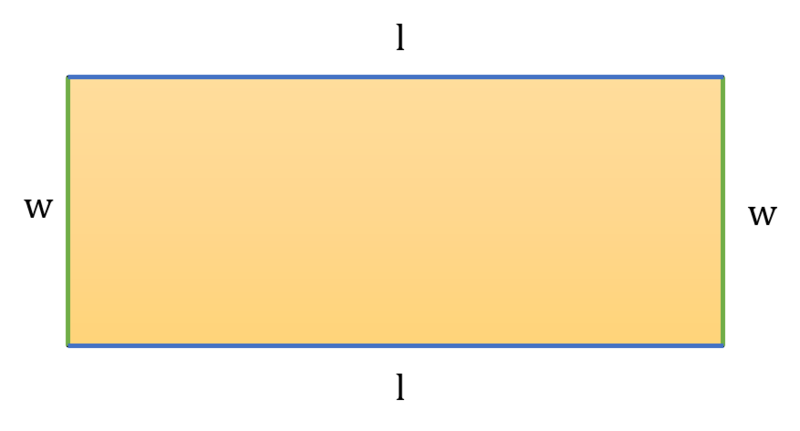 Also, remember that the perimeter of a rectangle calculator assumes that the length is longer than the width! Have you ever heard about the golden rectangle? It is a special rectangle, the side lengths of which are in golden ratio. Check out our golden rectangle calculator to learn more about constructing golden rectangles! Perimeter of a Rectangle Calculator can be embedded on your website to enrich the content you wrote and make it easier for your visitors to understand your message.